Crail is the most easterly of the line of coastal settlements along the south side of the East Neuk of Fife. Many would also say it is also the most attractive of them, though each has its own unique character. Ten miles south east of St Andrews, Crail is a wonderful place to visit at any time of year, though it's probably at its best on a bright day in Winter when you stand more chance of having it to yourself. 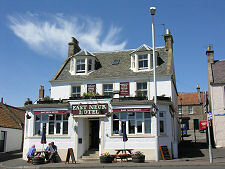 You can read the full text of the chapter about Crail in D Hay Fleming's 1886 book: Guide to the East Neuk of Fife. The town has an ancient history. It was well settled by the 800s and was a thriving town by the 1100s. 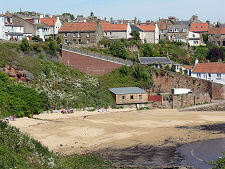 Crail was made a royal burgh by Robert the Bruce in 1310. He also gave it the right to hold markets on a Sunday. 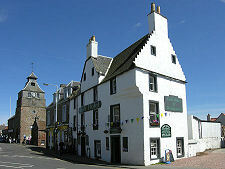 For many years after the Reformation of 1560 the General Assembly of the Church of Scotland tried without success to force a change of Crail's market to a weekday. 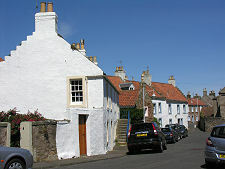 Crail's eastern location gives it an air of seclusion. There's an old Fife story about a man who asked another whether he had been abroad: "Na, but I ance kent a man who had been to Crail". That could also have been a reference to the strong Dutch influence in the town. 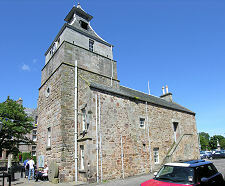 This is shown most strongly in the Tolbooth, which dates back to the 1500s. This stands as if on an island in the centre of Marketgate, alongside the Town Hall added to it in 1814. 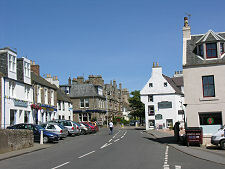 Marketgate is the medieval heart of Crail, once the largest marketplace in Europe. Now its size is concealed up by the trees lining the road that runs through it. On the south side of Marketgate the houses are small but attractive, while the north side was where the rich merchants built their much grander mansions. The most obviously imposing of these is No9 Friary Court, now know as the Old House, built in 1686 and probably Crail's oldest surviving house. 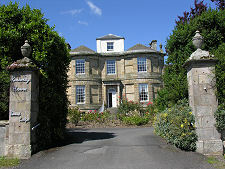 A little further along, Kirkmay House is more reclusive, standing back from Marketgate. 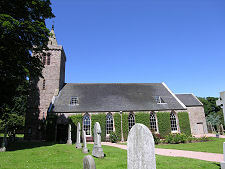 Crail's Parish Church is much older in origin than it looks, dating back in parts to 1160, with piecemeal additions made in the 1200s, 1500s and 1700s. Today's look owes much to a major restoration and tidying up in 1963. 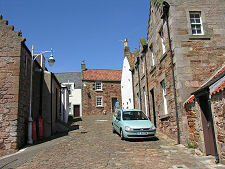 West of the Tolbooth, Crail's Marketgate becomes its High Street. Here you find the highly distinctive Golf Hotel, dating back to the early 1700s. The age of the building is clear from its relationship with the surface of the road outside, which over the intervening centuries has risen by the height of the three steps you now have to descend into the hotel. 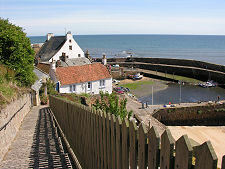 Crail's beautiful harbour lies to the south of the High Street and is best reached on foot, having parked in the town. 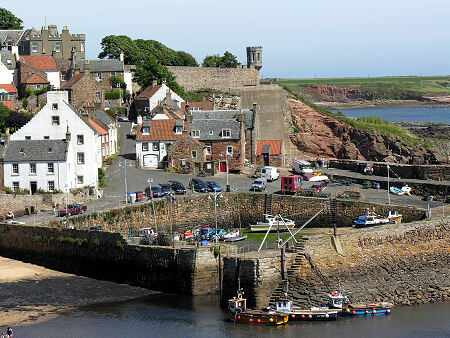 From the harbour the town appears to be a riot of reddish stone and white harled frontages intermingled with gray slate and red tiled roofs. All of this tumbles down the hill from the High Street to conclude on the side of the honey coloured stone lined harbour, complete with a few small fishing boats and occasional piles of lobster pots. It looks as if someone had designed a film set depicting an ideally pretty fishing harbour. 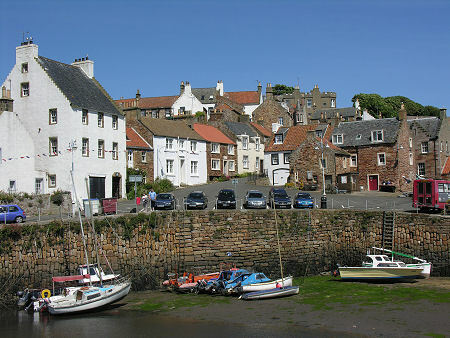 But what makes Crail so wonderful is that it is very much the real thing: and though not a film set, its harbour must be amongst the most photographed in Scotland. If it just had a castle it would have everything a photographer could possibly want. Sadly the ruins of the royal castle built on the cliffs to the east of the harbour in the 1100s were cleared away by the Town Council in 1706.